ALINE's Thoughts | Is it time for a new logo? Is it time for a new logo? Ask your team these questions. Can your current logo scale up and down? Your logo is not just for business cards. It needs to be readable and recognizable when shrunk down into a tiny image on an app icon for a phone or enlarged many times over for a billboard. Along those lines, if your logo was designed years ago and all you have saved is an old .jpg file of it, you may not have the most high-resolution version of a logo needed to enlarge or shrink online or in print. Ensure you have various file types in various sizes, or hire a designer to make new ones. Does your logo look social? A logo needs to work well as a profile picture on Facebook, Twitter, YouTube and more. Particularly wide logos won’t meet Facebook’s profile picture size requirements, and simple logos on white backgrounds often don’t show up well. If your logo doesn’t pop out on social sites, it’s time to for a new one. Does your logo reflect your capabilities? Your company’s logo may have been designed back when you did just one thing. If you’ve expanded your offerings, check to see if your logo still reflects all that you can do. If you’re selling e-books for Kindle and your logo includes an image of a page with a bookmark, it’s time for an update. Does your logo reflect not just who you are now, but where your company is going or wants to go? Like the previous question, this one makes you consider what you offer and what you want to be offering. When you talk to investors about your company, and you share all that you can offer and why you stand out, do you feel like your logo meets this vision? If your logo doesn’t reflect all that you plan to achieve, design a new one. 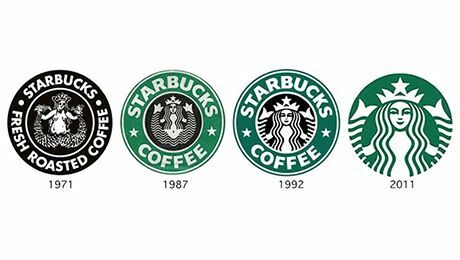 Is your logo dated, or does it respond to design trends? Few things will make your company look older than an outdated logo. Font styles, typography and color all change as trends change, so don’t keep a logo that makes you look dated. Granted, you don’t want to respond to every trend that comes and goes, but certain trends, like the current move to simplify, ensure your company looks modern and forward-thinking. As we are all bombarded with more information than ever before, our brains have become more focused on the visual. Clean, simple images stand out and get remembered better than busy, complicated ones. Look how Starbucks and McDonald’s (now just an M) have simplified their logos and made them even more memorable. Does your logo stand out? If you’re starting a new website, are you excited to have the site designed to match your current logo? At A-LINE, our designers often start with a company’s logo to look for inspiration for the fonts, color and overall feel of a new website. If the thought of matching your brand-new site to the look of an old logo makes you cringe, then it’s time to start from the beginning. Kicking off a website or marketing project is often the best time to review these questions and consider a new logo. A-LINE is happy to add logo design to any of our marketing scopes, or to sit with you to help discuss if a new logo is in order. Call our team anytime for advice on ensuring your company is positioned to succeed online and in print, now and in the future.